Not bad looking. Economical 1.4 diesel gets under 119g/km. A miserable follow-up to the 205. Sometimes shoddy quality. 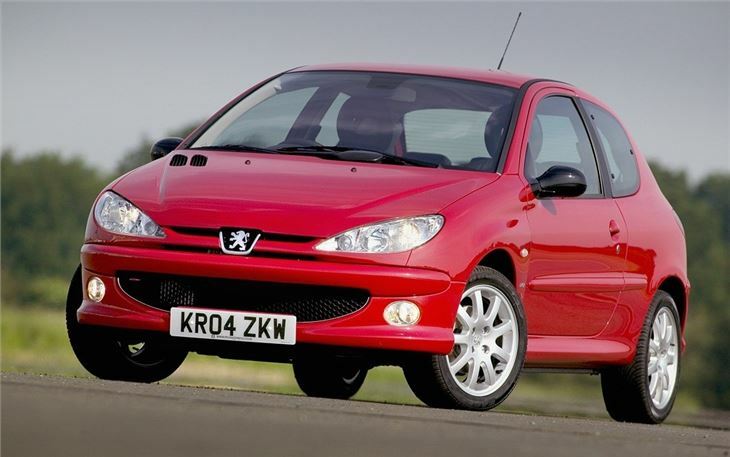 Report of Peugeot 206 1.4HDI suddenly mistiring violently. Engine management light came on. Could be injectors, injector seals or Electronic Accelerator Module. I’d showed up to drive the new 407 SW, but the enthusiastic PRs told me to try a 206 1.6 HDI 110 first. So I did. 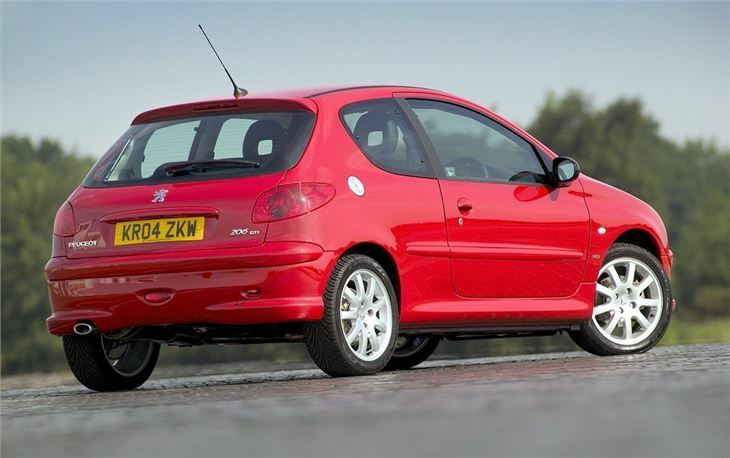 It looked as close as any 206 has ever got to the 205GTI I ran and loved 16 years ago. More luxurious, of course. 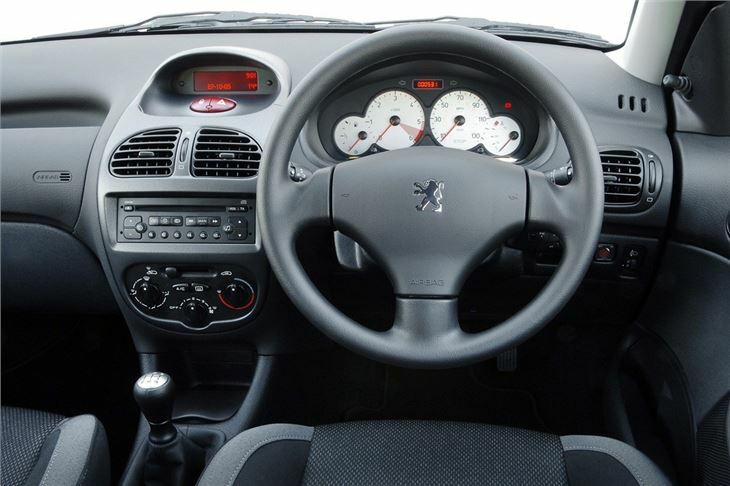 With all the 206 GTI petrol model’s goodies including 16” alloys, 205/45 tyres, Teves ESP, ASR, CDS, ABS with Electronic Brake Assist and Electronic Brake Force Distribution, automatic air conditioning, CD autochanger, deep hugging bucket seats, aluminium pedals and gearknob. And very, very red. But a diesel GTI? How would that work? I got comfortable, adjusted the mirrors and turned the key. 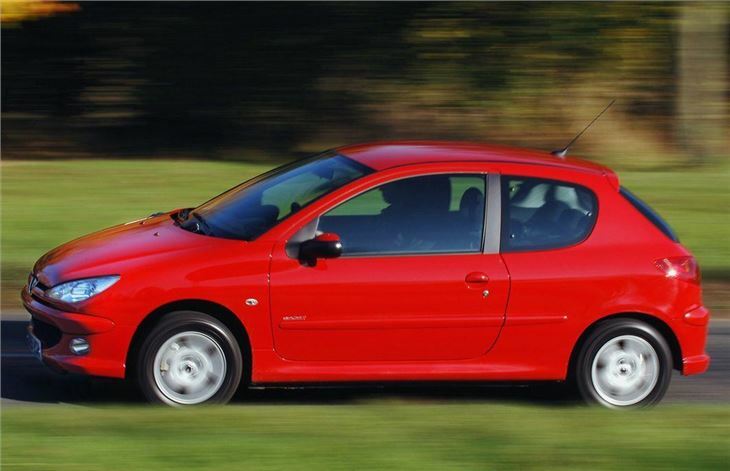 Anyone who has driven the SEAT Ibiza TDI 130 and the Skoda Fabia vRS 130 knows they don’t drive anything like a GTI. You get frantic grunt between 2,000rpm and 3,000rpm, but nothing much below or above this rev band and have to use the 6-speed box row them along to get a satisfying drive. But PSA’s 1.6 16v diesel drives completely differently. It stumps up 180 lb ft torque at 1,750rpm and 110bhp at 4,000rpm. But it also ‘overboosts’ in the higher gears only, giving up to 195lb ft. 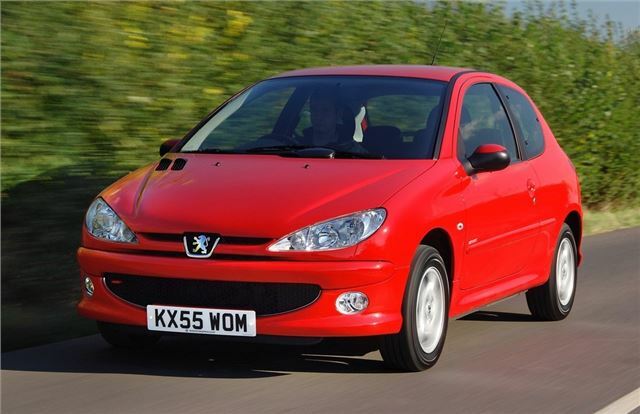 So it’s eager rather than raucous from a standing start, then has a lovely lump of mid-range urge that doesn’t suddenly peter out like all-or-nothing VAG engines. It even revs smoothly right the way to 5,200rpm, giving 50 in 2nd, 81 in 3rd, 114 in 4th and a theoretical 142 in 5th. And while this isn’t the 6,000 – 7,000 rpm of a true GTI, it’s enough to feel very like one. This car is seriously good fun to drive. And it doesn’t let you down in the corners. 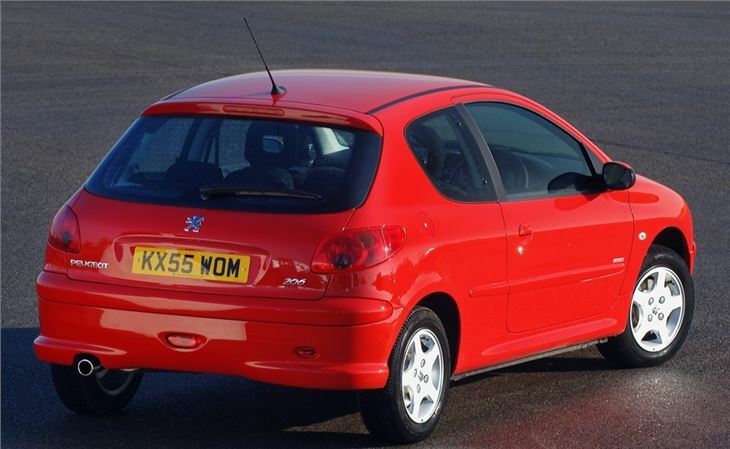 Though my 205 is now a distant memory, this 206 seemed to have the same front end grip and enough lift-off ‘adjustability’ at the back to seem very similar. The only minus was a slightly sloppy cable gearshift, but not to the extent it became irritating. A great, reliable and practical family car. excellent MPG and £30 year road tax but be VERY VERY CAREFUL!